ITU-T organised on March 19th, 2018 a conference on 5G security. Trialog was invited to make a presentation on threat analysis at ecosystem level. The presentation used the AutoMat ecosystem as an example. 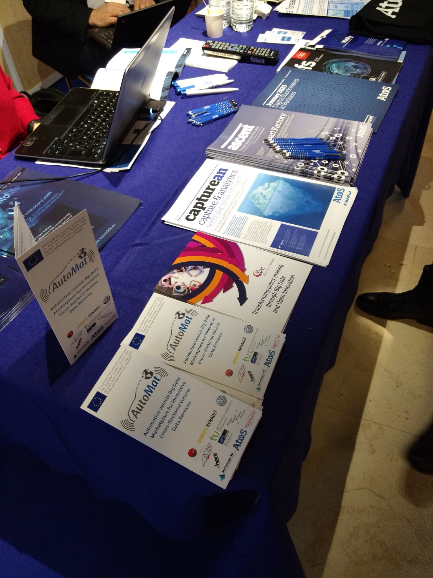 It also presented some of the recommendations made by the AutoMat consortium on cybersecurity frameworks (in particular the need for coordination of cybersecurity capabilities between stakeholders in an ecosystem). 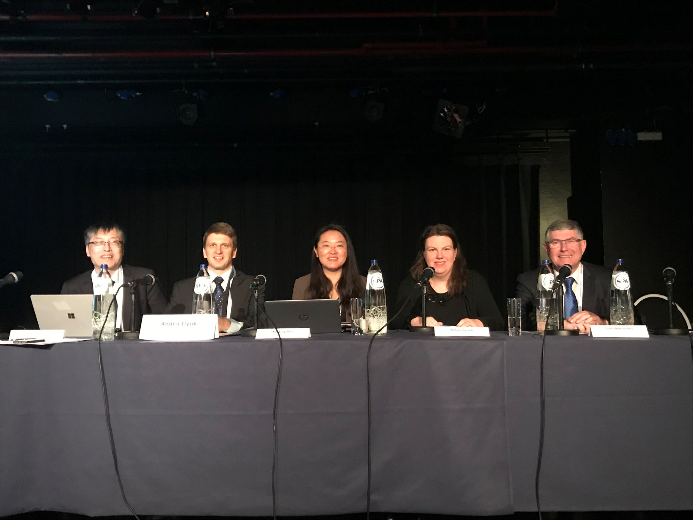 The annual Computers, Privacy and Data Protection conference (CPDP2018) took place in Brussels on January 24th to 26th, 2019. This is the biggest conference of this kind in the world, including 85 panels and 420 panels. 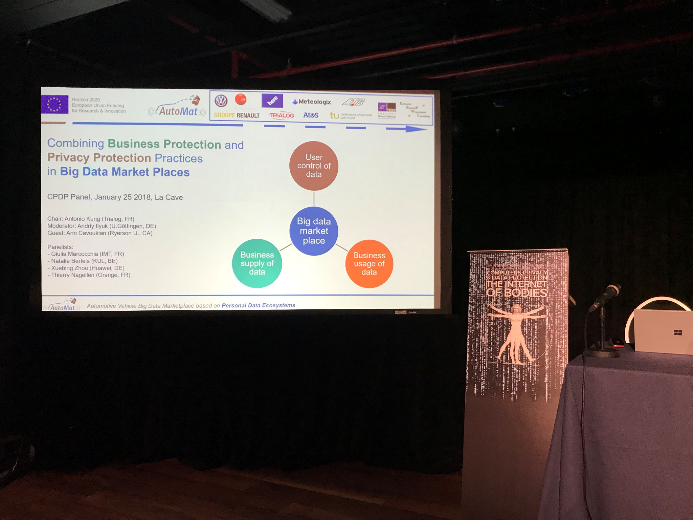 AutoMat organised a panel entitled “Combining business protection and privacy protection practices in big data market places”. We are happy to announce that the AutoMat video has been released. The video is split into two parts. 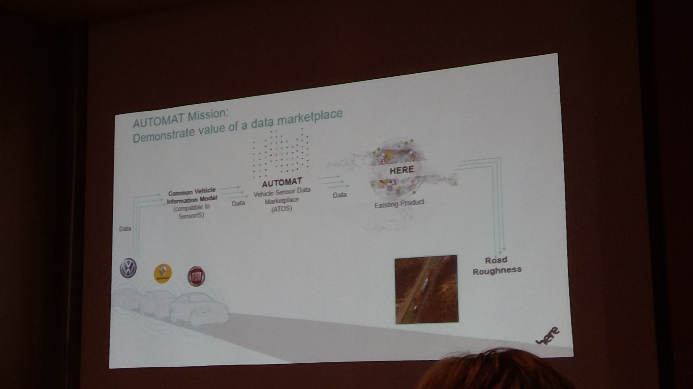 The first part covers the unexcavated treasure of vehicle data and it is about the aggregation and collection of vehicle data. The second part covers the exploitation and usage of the data in form of the AutoMat marketplace. We are looking forward to receive feedback from you. Enjoy watching! The BigDataEurope (BDE) project was launched in January 2015. At first sight, it has a lot in common with the AutoMat project – both projects focus on big data and the transport sector. Moreover, both projects aim to help users make better sense of big data by providing platforms, such as Automat’s Vehicle Big Data Marketplace or BDE’s Big Data Integrator Platform. Both projects are now discussing how to leverage data from other sources, such as open data portals, social networks, meteo, and police, to improve their platforms and the provided services. 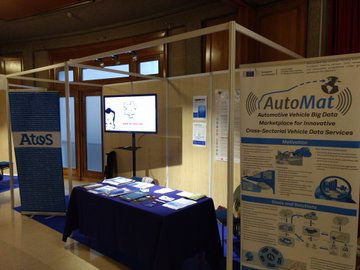 AutoMat has successfully been presented at the Vehicular Networking Conference (VNC) 2017. 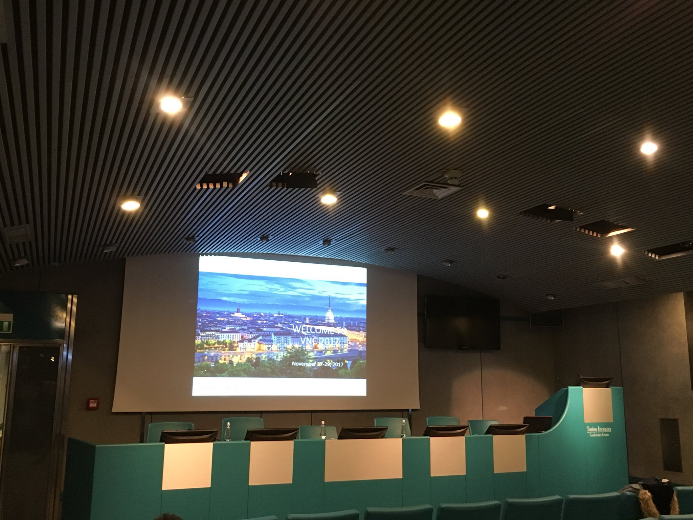 Roughly 80 attendees joined the conference, which took place in Torino this year. 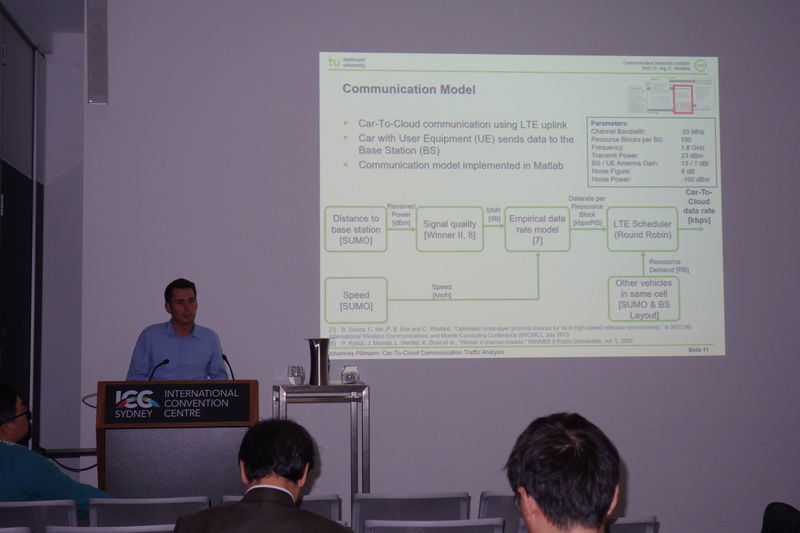 Johannes Pillmann from the TU Dortmund University introduced and presented the topic of efficient car-to-cloud communication using predictive Channel-Aware Transmission (pCAT) at the example of the AutoMat vehicle big data marketplace. The presentation was well received. At the end of November 2017 the European Big Data Value Forum (EBDVF) took place in Versailles. With over 1200 visitors, it is THE big data conference and hosted over 90 expert speakers and 40 exhibitors. 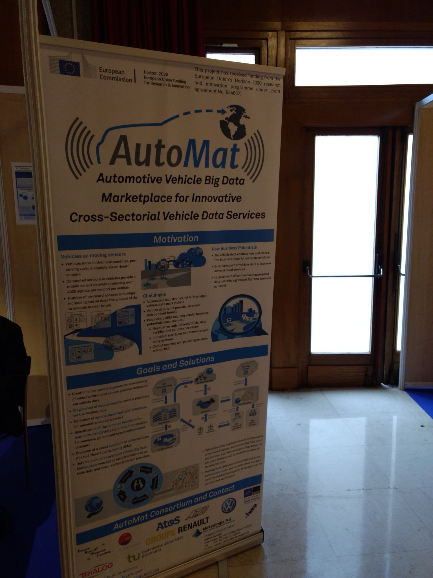 AutoMat, the Vehicle Big Data Marketplace, will participate in the European Big Data Value Forum (EBDVF). On November the 23rd the project will present the example use case “Road roughness detection” and how vehicle big data in combination with data science methods lead to improved road quality and hereby increased safety and reduced emissions. The talk will take place as part of the “Data, Mobility and Public Tranport” workshop. AutoMat project was represented by the consortium partner Atos, in the Panel Debate of the The BigDataEurope (BDE) societal challenge on transport (SC4) hosted its third, and final, workshop on 14th September in Brussels at ERTICO headquarters. The workshop was attended by 40 participants, including representatives of industry, research institutes, as well as the European Commission and different public administrations. 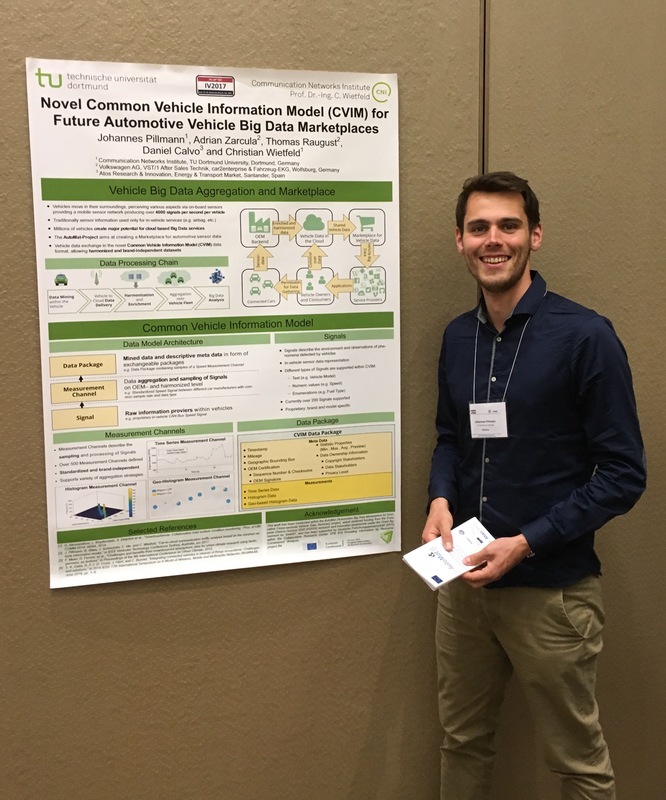 BDE blog post: "Successful BDE SC4 Workshop Hosted in Brussels"
AutoMat’s vehicle big data model “Common Vehicle Information Model” (CVIM) has been presented successfully on the Intelligent Vehicle Symposium 2017 (IV2017), which took place from 11. to 14.06.2017 in Los Angeles. Over 400 people from industry (mostly car manufacturers and suppliers) and universities as well as research institutes visited and participated in the conference. 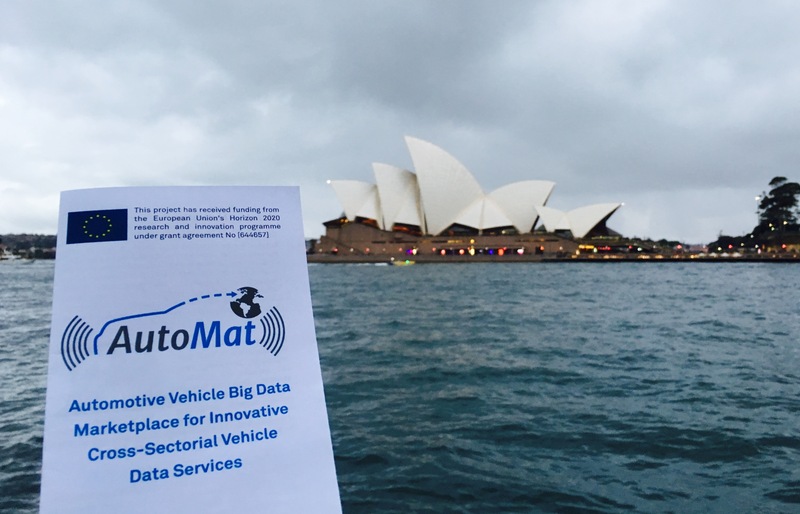 From 04.-07.06.2017, the Vehicular Technology Conference (VTC) took place in Sydney – AutoMat being involved by contributing a paper presentation. The conference was well attended with over 400 visitors and offered a wide range of automotive technology subjects including the relevant topic of car-to-cloud communication.